The magic of the the new HC3 lever is a reach and leverage adjusters integrated in a very elegant, forged package. 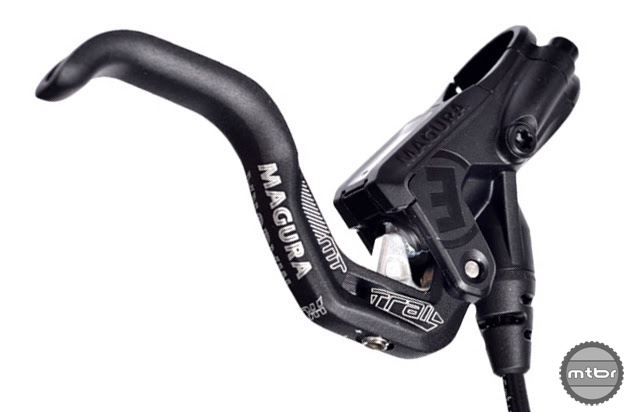 Magura‘s latest brakes have incredible power and modulation but their levers were a little long and dated as riders have moved on to shorter, one-finger levers. 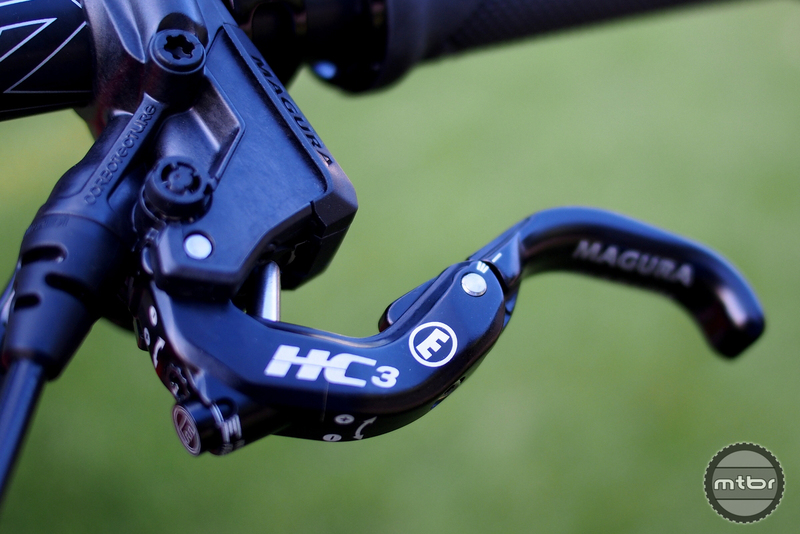 At Sea Otter, they showed us their latest lever, the HC3 which is a pretty fascinating piece. 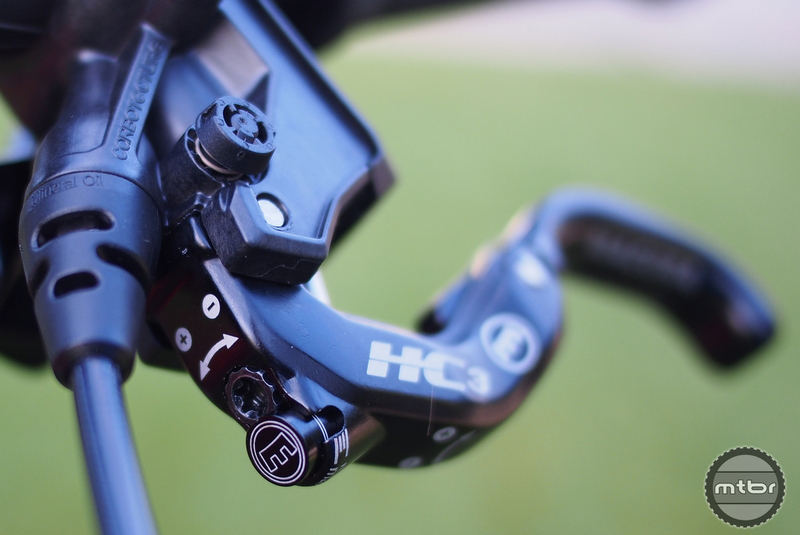 The HC3 lever is a smaller, forged lever so it fits the one-fingered braking style better. But using it, it feels firmer than the existing levers since it has no flex whatsoever. But the real magic is it has a well-integrated leverage adjuster to allow the rider to dial in the power effectively. It is for initial setup as one adjusts it to personal preference. But Jude Monica gave us additional insight as he said it can be used to match the available traction between the soil and the tire in varying conditions. More power can be dialed in when traction is plentiful and less in dusty or wet conditions to avoid skidding all over the place. And if you haven’t used the latest Magura brakes like the MT7’s or MT Trails which have four pistons and four separate brake pads, it’s quite a revelation to see how much stopping power is available. The MT Trail Sport is less than half the price of the MT Trail Carbon at under under $300. The other interesting product they cover in the video is the MT Sport Trail brakes. This is a more affordable version of the MT Trail Carbon brakes which uses four pistons on the front brake and two in the rear to better match the stopping power that is available on the bike. The MT Trail Carbon brakes are $650 a set but these new MT Sport Trails will be under $300 for the set (without rotors)! The leverage adjuster is clearly labeled and easily dialed in with a Torx wrench. The MT Trail Sport lever is the new shorter design by Magura.